Don’t Let The Earbugs Bite! If you bend over and spit your gum into the toilet, there is a very real chance that it could hit the water at just the right speed and angle and cause a single drop of toilet water to shoot up and hit your left eyebrow. This is real. It happened to a friend of mine. Don’t ignore it. If you love your family, you will send this to 341,743,815,391 people. Most of all, be sure that if you spit your gum into the toilet that you ricochet it off of the side to slow down its velocity. It is not a pleasant experience. At least that’s what my friend said. My first real job the summer after I turned sixteen, way back in nineteen and eighty-five, was at Caffco. Caffco, or CCC Associates which is its corporate name, is a huge company that deals with all things home and garden. Plants, flowers, trees, yard ornaments, Christmas trees, even fake flowers. If you want to make your yard pretty, this is the place to go! My friend Michael and I decided it would be a good idea to get a job for the summer. The thought of having more than five bucks at any given time was too much to think about, so we went and filled out an application and got hired on the same day. Here’s what I think same-day hiring says, at least in this instance: Nobody else will do the crappy job that you’re applying for so if you have a pulse and are ignorant enough to take it, it’s yours. Michael and I were the perfect morons to do just that! I’m pretty sure we started on a Monday. We were hired to be a part of the landscape and maintenance crew. That is code for any dirty, hot, stinky thing they could think of to make us do. We went and got our time cards and clocked in. Just like you see on TV. A big room full of unhappy people standing in line with an old beige with green lines time card. KA-CHUNK! We were now on the clock! Part of the workforce. It was a milestone. My parents were so proud. I took the initiative and got a job all on my own! I’d have money to spend on the weekends now! $3.35 an hour? Unbelievable! I could fill up my ’72 LTD every day! It was a wonderful moment. For a moment. Then we went to work. There used to be a fountain in front of the Southern Homes and Gardens building. I’m not sure if it’s still there or not. My first task, the first of many that I would have the dubious honor of performing alone while Michael, Wendell, and Stephen all worked together as a group, was to paint the inside of that fountain a color that I would say was swimming-pool blue. In June. In Alabama. It was hot. I thought I might die. That was day one on the job. As I stood in that fountain I looked up and saw a familiar face. It was Wendell. He was coming to put in his application on that day, because he had not come at the same time we did. Guess what! He got hired that same day also and was on the job less than 24 hours later enjoying the all the trappings that go with landscape and maintenance. Wendell was the oldest and so he usually got the honor of driving the old flat-bed truck we affectionately called “The Doorless Wonder.” Old Doorless got us all over the complex from cutting the grass in front of Southern Homes right by the highway all the way back to the dump and everywhere in between. In hindsight I should have taken my Kodak Disc Camera with me so as to have a record of this job, this truck especially, for the sake of posterity, but alas, it was not to be. There are many nuggets of wonder and amazement to be mined from my experiences that summer. Far too many to share in a single story. For now, I’ll share this one that happened within the first three days or so of my sentence there. Southern Homes and Gardens at that time had a beautiful Japanese Garden behind the building. I’m not sure if it’s still there or not. It had beautiful sculptures, bridges, ponds, paths, and, of course, flowers. It was pristine and perfect and was the crown jewel of the facility. In a word, it was magnificent. The walking paths were covered with a finely crushed, gray gravel that crunched beneath your feet as if the garden itself were saying, “Enjoy my breathtaking, unspoiled beauty and serenity.” And people did. Lots of people. Even I did for a short time. Who would think that such a peaceful place could visit so much horror on a young life? Ah, ignorance truly is bliss. It has been well documented that manual labor has never been something I excelled at. I never had to do much of it and thusly, wasn’t very adept at such things. Things that included, among others, the finer points of operating heavy, dangerous machinery like…well, a wheelbarrow. Or, perhaps, identifying and removing weeds from a flower bed. I had been sitting, pay attention here, SITTING in a flower bed in the Jap Garden(I know that may not be politically correct but that is what everyone called it)pulling weeds. My immediate supervisor’s boss, Raymond, happened upon me as I performed my assigned task and upon seeing me sitting there, asked if I was comfortable. His exact words, I believe, were, “You comfortable, boy?” with a bit of extra emphasis on the word “boy.” Wanting to make a favorable impression in my first few days on the job I grinned happily and replied, “Yes sir!” and continued my weed pulling, pleasantly surprised that the boss’s boss cared enough to make sure I was enjoying my job. How nice of him. To quote the great comedian, Brian Regan, and respond to what most of you just said to me in your head, “I know NOW!” Apparently, it is a faux pas of the highest order to sit on one’s hindparts while pulling weeds from a flower bed as a member of the elite landscape and maintenance crew. Who knew? In 1987, shortly after I turned 18, I went to the courthouse and registered to vote. I registered as a Republican and have been a Republican since then. I’ve campaigned and voted for Republican candidates. I’ve put bumper stickers on my car and signs in my yard. My daughter is named for President Reagan. Things have changed since the 40th President of the United States was in office. in 1994, Newt Gingrich helped lead the Republican revolution which saw great gains in both the house and the senate by Republican candidates. It was our last great, sweeping victory. Too often they compromised and ended up not making much of the opportunity that was afforded them. It would be our last great hurrah for a long time. Last year voters elected Barack Obama, called by many the most liberal member of the U.S. Senate. He had little trouble defeating the self-proclaimed maverick, John McCain. McCain was fond of telling people how he broke ranks with Republicans on many occasions. That he was all about reaching across the proverbial aisle. Well, he managed to maverick himself right out of the White House. I can only speak for myself, but I’m not interested in campaigning for, voting for, or electing a President who governs from the middle. I became a Republican because there are, or at least were, certain planks in the party platform that I stood for. I won’t get into them here as it serves no real purpose at this point. Those ideals weren’t then and aren’t now up for debate. I want the person I support and vote for to feel the same way. I understand that in politics, if you want to be an effective leader, there are certain things that require compromise. You can’t win every debate and you don’t always get things your way. Hopefully by compromising on some issues, you encourage the other side to do the same and the public interest is served. But there should be some issues that one should hold near and dear and that should be fought for no matter the cost. The Republican party leadership, whoever that is, would do well to learn that lesson ASAP! When the candidates from each major party go head to head in an election and there isn’t a nickel’s worth of difference between their views on most issues, then the guy with the best personality wins. Senator McCain made an attempt to inform us that he was indeed conservative in nature. Unfortunately, after over twenty years as the maverick senator from Arizona, many Republican voters, including me, had a difficult time believing him. None of us were particularly excited about him as a candidate and he never had a real chance against the younger, hipper, more polished Obama. Rather than choose the best candidate, conservatives were forced to vote for the man who was the least bad. I’d like to think that the so-called GOP leadership has learned a lesson from this. They certainly should have but only time will tell. They are politicians, after all. Get us some candidates we can get behind and be excited about who have a backbone and ideologies that aren’t for sale to the highest bidding special interest group. Stop trotting out these fence-straddlers who care more about extending their careers at the public trough than they do about being servants to the people who put them in office. George W. Bush inched closer and closer to that line and by the end of his second term he had no broad support from any group, left or right. Things have not gotten better. This much I do know: The middle of the road is no place to be. Where I’m from, you see an awful lot of dead armadillos and possums there. I hope that the GOP mascot isn’t in danger of being replaced by some beady-eyed, gray marsupial. The RKP(Road Kill Party)just doesn’t have the same ring. Gigi and I are gonna’ go out for a run today and we’re not going to worry about much of anything except how far we can make it. We’re going to see Monsters Vs. Aliens tonight at the Rave and then eat some great pizza at the Mellow Mushroom with some old and new friends. School’s out for the summer and all is good at the Hankins household. It’s great to be an American!!! 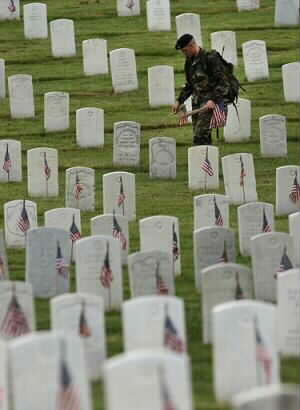 Thanks to all the men and women and their families who have sacrificed so much so that the rest of us can live free. You guys are the absolute best!!! I I had occasion to drive through Holtville not to long ago on my way to Birmingham. I don’t get up that way too much anymore and the older I get, the more fond my memories of growing up there become. I don’t want to move back there or anything. Not that there is anything wrong with that, but I’ve gotten far too accustomed to the convenience of living three minutes from Wal Mart, McDonald’s, Pizza Hut, Winn-Dixie, and, well, you get the idea. But as I drove through Holtville the other day, past the many cotton fields, I was reminded of a story. Imagine that. As hard as it may be to believe, when I was growing up in Holtville in the 80’s, many of us teenagers would actually spend part of our summer working in the cotton fields. We didn’t have to pick the cotton. We had to pull the weeds. We would all meet up before sunrise at some barn somewhere in someone’s field, load up in a truck, and be hauled off to walk up and down long rows of cotton pulling weeds. I think we got paid somewhere in the neighborhood of $25 a day and it was a long, hot day. Manual labor has never exactly been my thing. I never learned how to do many things that fall into that category. I visited hospitals with my dad but pastor’s families usually leave the work to someone else due to them living in homes that the church owns. You know how we Baptists are with our committees and such. My first time at being a weed puller lasted only slightly longer than my boxing career. The crew that I ended up with had several people in it that I was sort of afraid of. I won’t name them here because I am still sort of afraid of them. One of the guys had a menacing tattoo on his arm that said, “Angle of Death.” Yeah, I know, not as menacing as it would have been had it said “Angel” but menacing nonetheless. I was 14 or 15 years old and had really wanted to be working with my friends. It didn’t work out that way. We got to the field and started walking back and forth, up and down the seemingly endless rows of cotton yanking weeds up by the root. There was a truck parked nearby that had a water-cooler where we could go take a break every now and then. After about an hour I decided it was time for some water. I sat down on the tailgate to rest for a minute and that’s when the voices in my head started. “You could be sleeping right now.””Your Nintendo is missing you.””The Price is Right will be coming on in an hour, followed by Card Sharks.” The voices were very convincing. I didn’t need a lot of convincing. Of all the places I could have been and wanted to be that morning, a cotton field was at the very bottom of the list. I looked across and saw everyone a couple of hundred feet away focused on nothing more than the next weed. It was at that point that I decided to make my move. Freedom beckoned and my answer to freedom was “Yes, freedom, YES! Here I come!” In the blink of an eye, I was off! I sprinted toward the nearest road, leaping rows of cotton with all the agility of an Olympic hurdler and I didn’t slow down until I was out of sight of everyone. Harriet Tubman would have been proud. The owner of the field, Sanford Peeples, would later say he looked up and all he saw was my head popping up and down as I jumped each row. The road to freedom took me to The Boys Store(I never remember seeing an apostrophe in any of their signs, so there is not one here) where they let me use their phone to call home for someone to come pick me up. I would have been better off had I remained in servitude. The ride home was a long one even though it was only three miles. I walked in the door and saw my father sitting there with this look on his face. Some of you know the look. Your parents have a similar one. I don’t remember much else of what happened that day. Traumatic probably best describes what I do remember. It’s probably best that I’ve blocked it out. Therapy can get expensive. That wasn’t the last job I up and quit for whatever reason. I did usually make it more than an hour, though. The closest thing I ever came to working in a cotton field again was when I got my first “real” job at CCC Associates at 16. Most of us refer to it as Caffco or Southern Homes and Garden. It should have been called Hades. Look for my experiences there in this space very soon. Teenagers in Holtville don’t have to pull weeds in the cotton fields anymore. I guess they make chemicals or some fancy tractor thing that can handle that now. Maybe someone should bring it back, though. Working hard like that builds character and teaches a good work ethic. At least that’s what I’ve heard. What, other than me in a commercial, was the most disturbing thing you saw while watching the American Idol finale last night? For me it was the outfit that Queen Latifah decided to wear during her duet. I am not making fun of the great Queen for being a bit overweight. I am a little high on the BMI chart myself. I also know that she has lost a lot of weight and is the spokesman for Jenny Craig. But whoever told Ms. Latifah that she should wear a skin-tight, head-to-toe body suit made a horrible mistake. If I were Jenny Craig, I’d be dialing up Queen and asking her to refrain from such public displays of…well…whatever it was she was displaying.